Here is a book that sets our worship, sacraments, communion and language of God back on track. In a day when refinement of method and quality of experience are the guiding lights for many Christians, James Torrance points us to the indispensable who of worship, the triune God of grace. Worship is the gift of participating through the Spirit in the incarnate Son's communion with the Father, writes Torrance. This book explodes the notion that the doctrine of the Trinity may be indispensable for the creed but remote from life and worship. 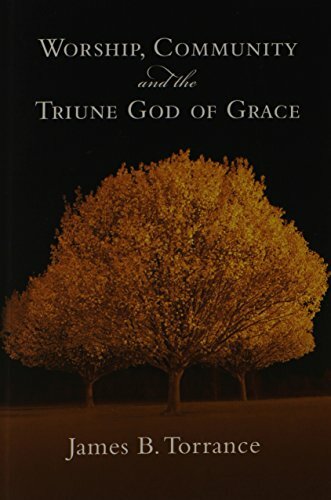 Firmly rooted in Scripture and theology, alive with pastoral counsel and anecdote, Torrance's work shows us just why real trinitarian theology is the very fiber of Christian confession.